KC's Classic Burger Bar is a new and exciting business in North Attleboro and Seekonk that is unlike anything in the area. 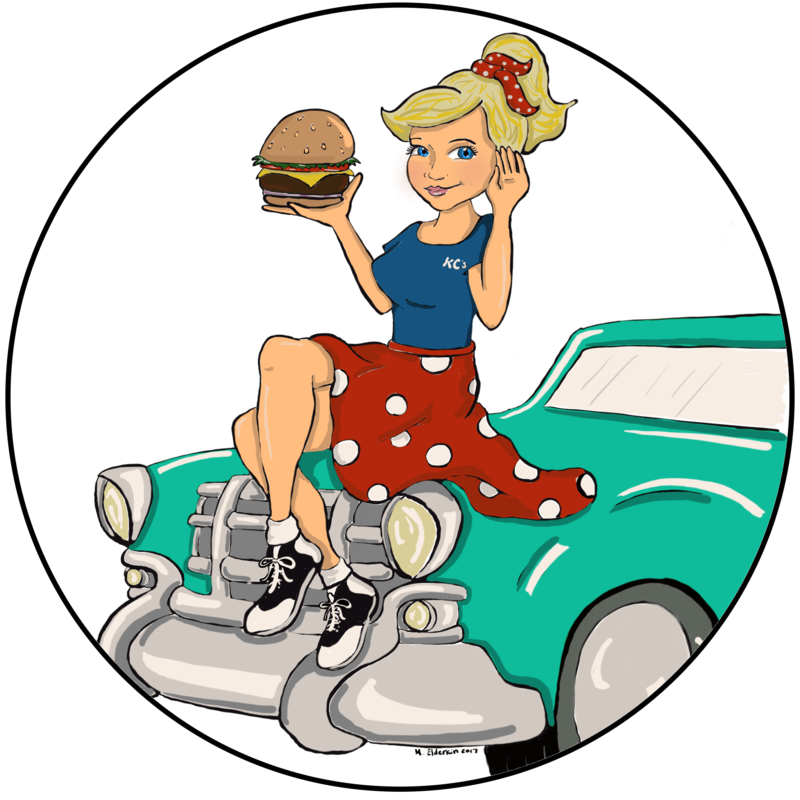 KC's relaxing family atmosphere incorporates fun, classic 1950s decor, delicious food and burgers that are second to none. KC's delicious but unusual burger combinations are sure to create a unique dining experience for the whole family. 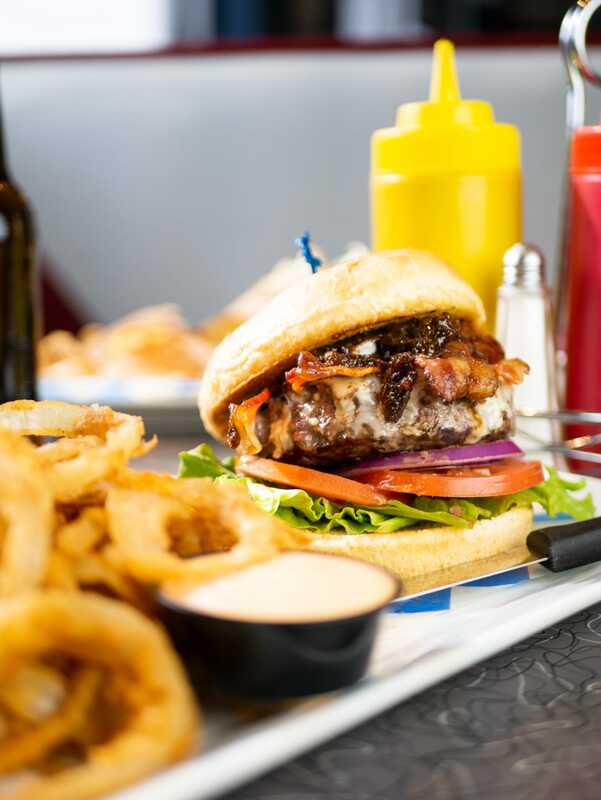 From The Elvis Burger, which comes topped with a fried banana, bacon, cheese and our one-of-a-kind PB & J sauce, to The Blue Hawaii, layered with Teriyaki glaze, grilled pineapple, roasted red pepper and Swiss, there is guaranteed to be a burger for every taste! If adventure isn't your thing at the table, KC's also offers more traditional fare like a ¼ lb all-beef hot dog on a buttery brioche roll, and homemade mac'n cheese. Or enjoy one of our creative appetizer options, such as corn dog bites, fried mac'n cheese balls, and loaded chili cheese fries! Don't forget you can substitute sweet potato waffle fries, dusted in cinnamon and chipotle seasoning, hand cut onion rings, or a side salad for our signature chips or fries. You can also indulge in a spiked milkshake made of premium ice cream, hard liquor and special flavored liqueur – a tasty and decadent treat for adults only! 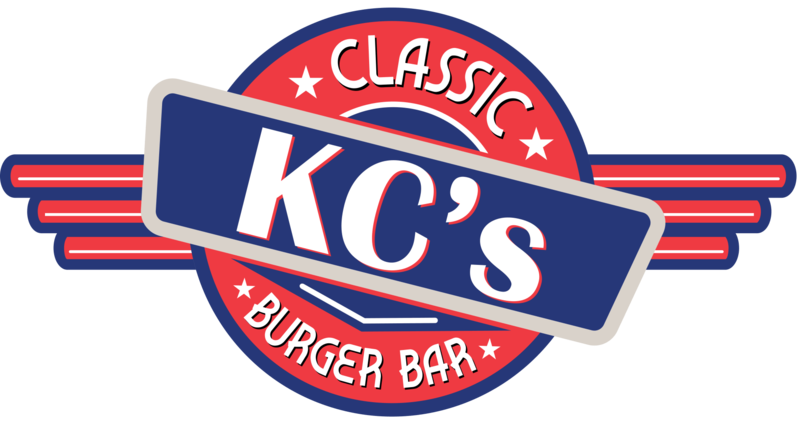 Make sure to come visit KC's Classic Burger Bar today!